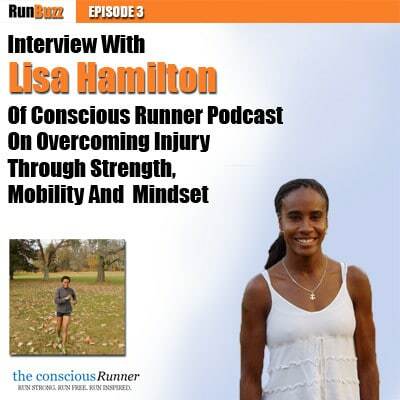 In today’s podcast, I chat with Lisa Hamilton of The Conscious Runner about her experiences with running and overcoming injury. Lisa has an incredible story of how she grew up as a competitive swimmer, became a collegiate cross country athlete, and went on to become a 2:43 marathoner. Like many runners, Lisa suffered from early injuries until she learned to work on strength training, cross training, and mobility. Lisa shares how her approach to running has changed since her college days and what she learned to reduce and almost eliminate injuries. How Lisa got started running. Lisa’s early experiences with injuries and stress fractures. Conscious Running – A style of training that helps you experience running by focusing inwards, not outwards. It’s about being aware of how your body is reacting, adapting, and feeling during a run, which allows you to make adjustments. More information can be found on The Conscious Runner. How mindset and psychological training can boost performance through mental preparedness and visualization. How conscious running can help prevent injury by making you stronger and faster.